Fireflies and Jellybeans: Show Off Your Stuff Party # 50!!! Welcome to the Show off Your Stuff Party! The place we all get together and SHOW OFF OUR STUFF! Don't miss out of the AMAZING deal from Canvas People! They are offering a FREE 8X10 Canvas for FREE or you can upgrade it to an 11X14 canvas for only 9.99! Thanks for hosting. I can't wait to see all the creative projects. Enjoyed your fairy house too. Love the fairy house. What a cute idea! Thanks for hosting! I can't wait to receive the canvases I ordered over the weekend! thank you for hosting! I am glad I got to join your fun party this week! 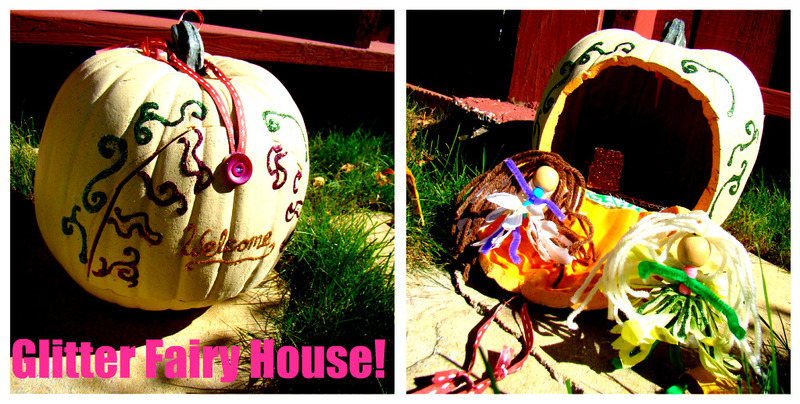 Pumpkins for fairies, sounds divine! Thanks for having us. Thanks for hosting the party. Today was the first day I heard about it, so I decided to join in on the fun. Your fairy house is cute. I saw one similiar at Michael's last week and thought it was the cutest idea. They used little figurines from those Halloween village sets. Thought I'd throw that out as a suggestion for anyone who can't make a fairy and needs another idea of what to use.